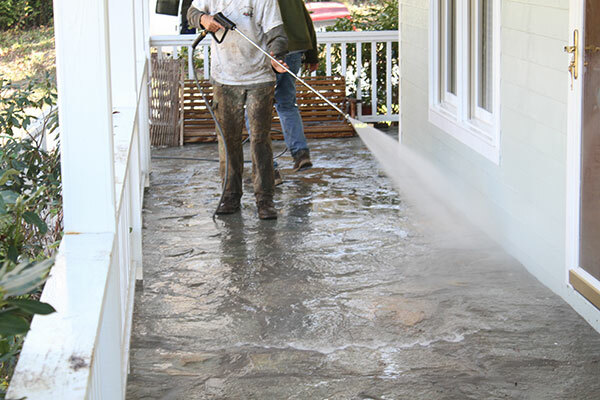 Appalachian Pressure Washing and Staining performs power washing—also known as pressure washing—that removes built-up dirt and debris from decks and patios. You won’t have to pick up, clean or return a rental power washer. Best of all, the job will be handled by a professional who knows how to care for your deck and patio while making it shine. Our professional home repair contractors can stain decks and walkways to protect them from the wear and tear of the weather. 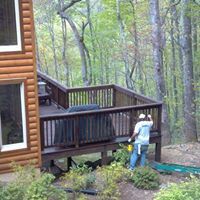 Staining and painting is just one of the deck-related projects your local Mr. Handyman can handle. Check out our deck & patio services for more information. If you own a deck, you know just how important it is to maintain it throughout the years so that it can always look its best. One of those steps is to re-stain and seal your deck every 3-5 years. This can help to protect the wood from moisture that may otherwise lead to the deck needing to be replaced entirely. Staining is also one of the fastest ways to improve your deck’s appearance—next only to pressure washing. Your deck should be pressure washed at least once a year to a year and a half. Unfortunately, staining, painting, and finishing your deck is not as easy as some homeowners assume—and it is not always in your best interest to just do it yourself. 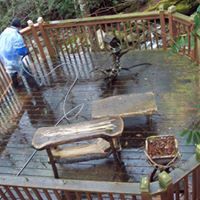 It is far too easy to damage the deck by zealously power washing it, applying a stain to wood that is or already rotten, or applying a stain before deck is dry. Mistakes like these are easy to make and can take a project from improving your deck to ruining it. 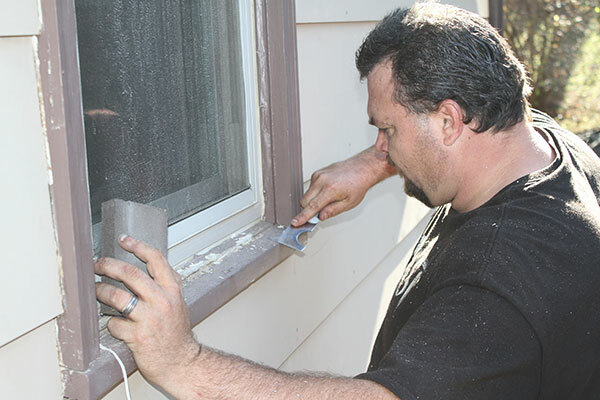 Keeping up the appearance of your house requires seasonal maintenance. From repairing fences to power washing the side of your home, some of these maintenance tasks you may be able to tackle on your own.